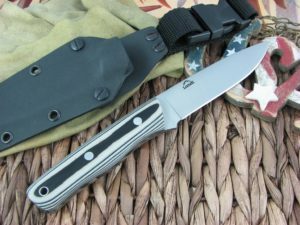 This knife has a bad tip (last 1/8″) and DOES NOT come with a sheath. 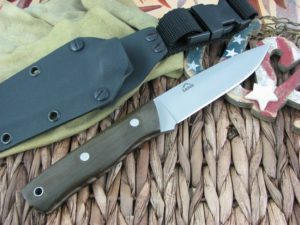 Our large dangler sheaths fits it well if you need one. Picture is stock and not one with a bad tip. 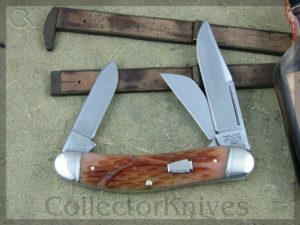 This is the Landi Knives Scandi Bushcraft, has Walnut Wood handles and the steel is O1. The blade finish is Satin. 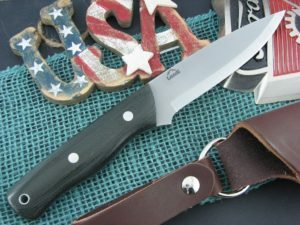 *Our opinion: The Landi effort on this knife as compared to their entire catalog is 8.